While Breath of the Wild isn't my Game of the Year or even in the top three, It is still an absolutely incredible game. The original Legend of Zelda became the roadmap for the adventure genre for decades and still continues to inspire countless game designers on a daily basis. Breath of the Wild was Nintendo's chance to reinvent the series and show the gaming industry that they own the genre in more ways than one. Breath of the Wild's open world was a bit more barren than I would have liked, as there were large chunks of the world that really wasn't filled with, well, anything. Sure, you could climb almost any surface and play around in the enormous sandbox that Nintendo had crafted, but there wasn't enough there to keep me playing after earning the special ending and wrapping up a few remaining side quests, and no, I don't recognize finding 900 Korok seeds as content. The Champions' Ballad, a story based DLC, was my chance to jump back in and lose myself in Hyrule once again. Long story short, the DLC isn't that great. 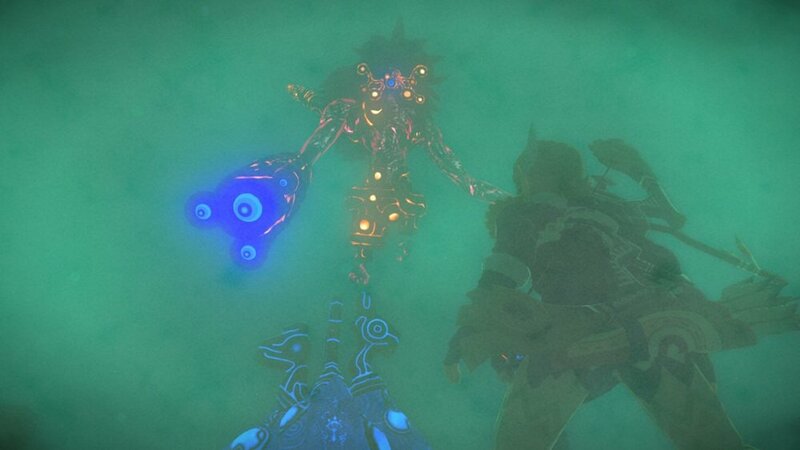 The Champions' Ballad was announced to be a narrative add-on to The Breath of The Wild, whereas the remaining content to the season pass would consist of special item quests, new armor pieces, and the Trial of the Sword, a 50+ floor dungeon where Link could upgrade his Master Sword to stay charged all the time. I wasn't keen on the Trial of the Sword mode, or the Hard difficulty 'Master mode" they also added, and the outfits, while cool, never really enticed me to jump back in. 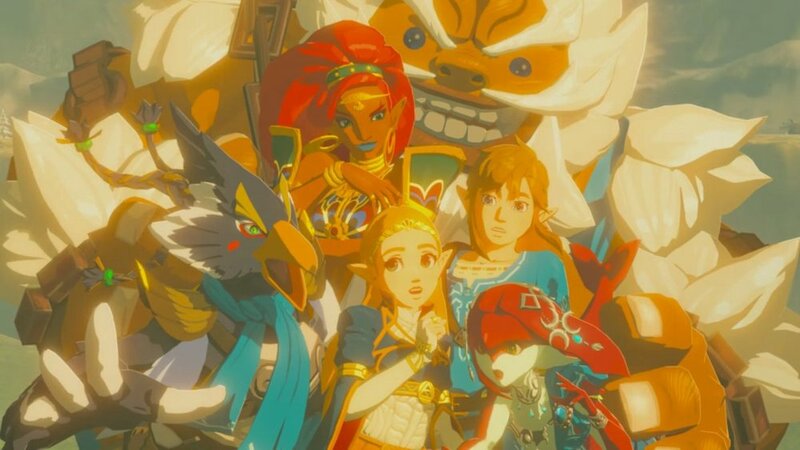 I'm not generally the type of player to find my own things to do in an open world game, I need purpose, I crave narrative, and so Champions' Ballad was Nintendo's chance to give me more story, and they did, but just barely. At the start of this content, you are given the One Hit Obliterator. This is a weapon that can one-shot anything, but with great power comes great consequence as you yourself can be killed in one hit as well. This lead to a solid two hours of frustration as I would die and die attempting to take out special enemy encampments that you need to wipe out in order to progress. I didn't want to play the Hard mode they released in the previous DLC pack and I sure didn't want this added challenge here. I don't play games because they are hard, I play them because I enjoy the visuals, audio, story, characters, the design qualities of solid mechanics. The Champions' Ballad, as a whole, wavers in its difficulty from one far side of the spectrum to the other. It's wildly inconsistent and feels like several moments are padded to create length. Once those encampments are devoid of any life, you are then given four locations to travel to. You'll arrive at your location to find the Bird with the accordion waiting there, attempting to finish his teacher's song. The stories he shares with you are repeated at each of the four locations and only change in wording when it is to reference which Champion you are currently focused on. The game likes to repeat much of what it offers and what came before it, to an almost annoying degree. Each location will give you three tasks to complete. These vary in racing from checkpoint to checkpoint, tackling a large boss, or finding a special location that is only available at a certain time of day. Upon completing each task, you'll unlock a new shrine. The puzzles featured in these newly made shrines are probably the best of the entire game and utilize new concepts and mechanics not found in many of the 100+ shrines in the Breath of the Wild core map. Once all shrines and tasks are completed you will be transported to a foggy environment where you'll take on the boss for that area from the main game, albeit without your items. Each encounter will give you a fairy for a health refresh and a preset weapon and bow. You can use your abilities like bombs and what have you, but these encounters feel like wasted opportunities instead of offering us something new to see that we haven't already faced before. While these bosses feature the same overall mechanics as from the main campaign, they are made harder only due to the fact you cannot use additional healing items or the variety of weapons you've been collecting all this time. This location scouting, task completing, shrine solving, boss crushing series of events plays out a total of four times before you are granted one last trial. This is also where we are given the first real new area of the game if you don't count the various shrines you had just been doing. This new Divine Beast is rather small and features four short single room puzzles to solve with one large middle area with a few secrets of its own. I think I maybe spent half hour here before the final boss was presented to me, which was also way too easy when compared to the trials that came before it, especially if you have a few banana's in your inventory, no joke. 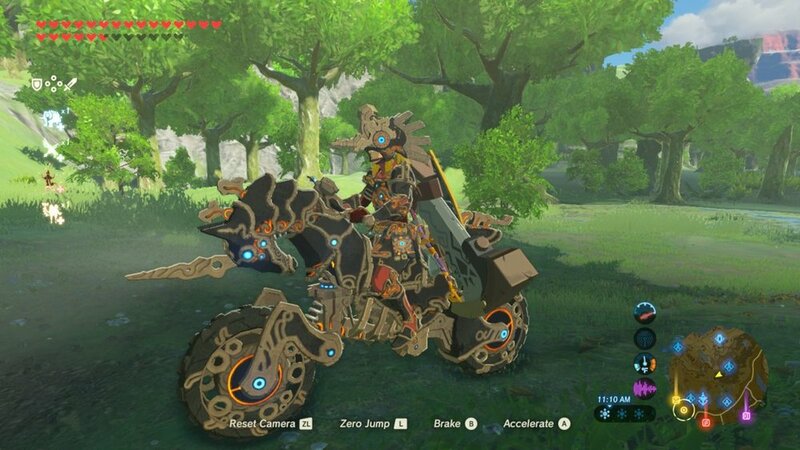 This challenge ends with Link being presented the special Hyrule Bike, which was shown off in the DLC trailer. The context of why you receive the bike is a bit hokey, but sure, I'll gladly take it. 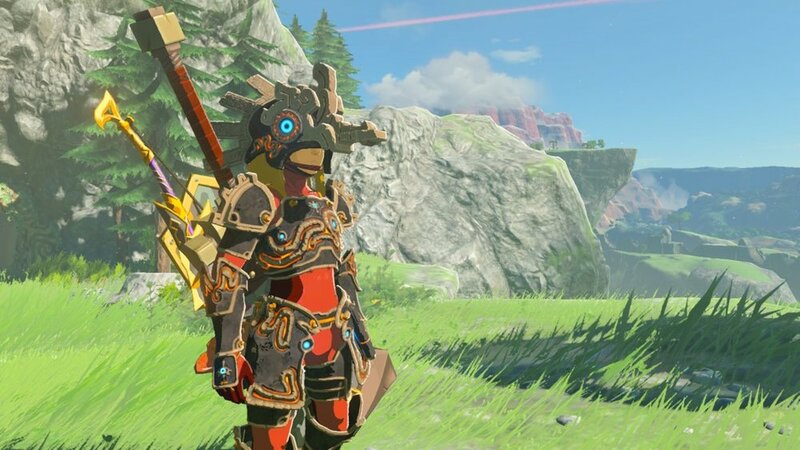 While the bike is a rather enjoyable new item to have, the armor sets you can discover here; Link's Lobster shirt, Zant's helmet, and much more, are incredibly weak to rely on at your current level and really just become visual easter eggs you can run around in. I hadn't played the previous DLC packs, so I jumped in and unlocked the Xenoblade Chronicles outfit, as well as the Ganon and Tingle outfits as well, all equally too weak to use in actual combat. The main complaint I have with this additional story add-on is it that it doesn't offer any resolution to the main story. This all takes place before you tackle Ganon, and even if you have completed the game, it still plunks you right back into the world before the final mission, meaning Zelda is always still waiting for you to beat Ganon, no matter how hard you try or how many times you vanquish him. The story bits we do get here are simply Zelda being sent to recruit each Champion and these are usually 4-5 minute long cutscenes that don't tell us any more than what we already knew. There isn't a single revelation here that is shocking or worthwhile to be told and we never actually interact with either of the Champions. My favorite moments of Breath of the Wild were the interactions that Link had with each of the present day heroes of each race. For a DLC pack titled after the Champions, well, I expected a lot more from them. Apart from the new shines that this content pack adds in, I wasn't a fan of this DLC for several reasons, and yes, my expectations of what I wanted from it do contribute to my overall disappointment. I don't feel the story told here was important or gave us any more insight into the past of Hyrule that we already didn't know. Apart from the new Divine Beast, there isn't anything new here and it's unfortunate that this entire new adventure takes place in the already existing world. Visiting the same places, hearing the same dialogue loops over and over again, and facing off against the same bosses yet again, make this a rather poor experience when you are wanting something new to take on. There are moments of enjoyment here, sure, but much of that has to do with what was already in the game. Apart from the final boss and the ability configurations required of the new shrines, The Champions' Ballad feels shallow and forgettable. Breath of the wild / Champions' ballad WAS PURCHASED BY THE REVIEWER. ALL SCREENSHOTS WERE TAKEN ON nintendo switch.